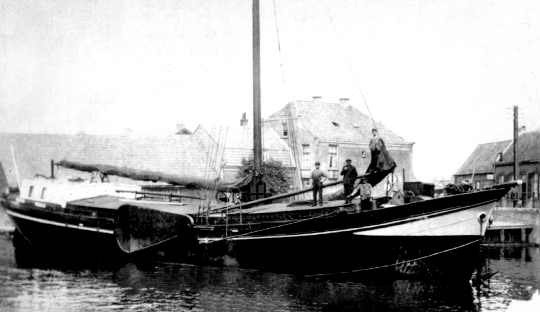 The Passaat was built in 1900 by the master ship-builders, the Boot Brothers of Leiderdorp. She was named Margiena after the owners Marinus and Giena Boertien. 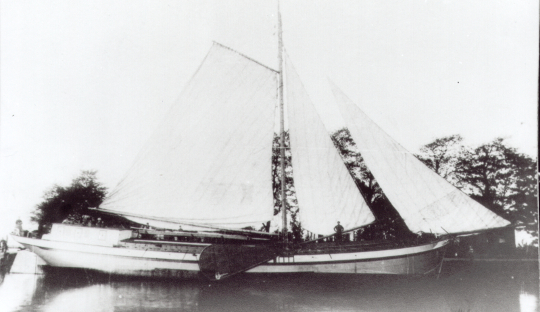 The Margiena was built as a single-masted sailing clipper with a mainsail, foresail and jib. The cost of the newly built ship was 11.110 Guilders. The ship remained in possession of the family, transporting freight on the rivers of the Netherlands right until 1964 when the sons Adrie and Koos decided to find jobs on shore. Their mother continued to live on board the ship moored in the Cool Harbour in Rotterdam until 1992 when ill-health forced her to sell the ship and move on shore. 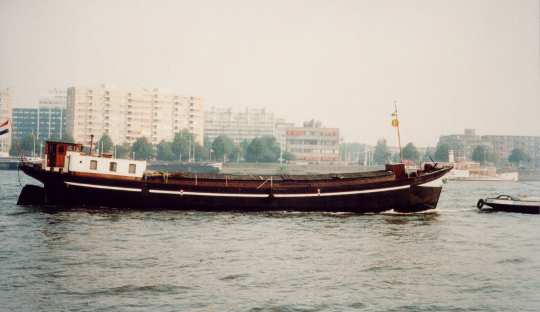 We (Frans and Frouke Fischer) came along just at the right moment and purchased the clipper on sight. Work was carried out on the ship at the Koningspoort shipyard in Rotterdam including welding up a number of leaks and then we towed the boat over the IJsselmeer as the motor was not working. Olivier van Meer designed the rigging transforming the ship into a two-masted vessel with mainsail, mizzen, foresail, inner and outer jibs and 2 extra staysails (hoisted between the mainmast and the mizzenmast). The ship, renamed the Passaat, has been back in service since 1993. In 2007, Frank Fischer will be shipmaster of the Passaat, in 2011 he is the new owner of the Passaat. To experience a sailing trip?